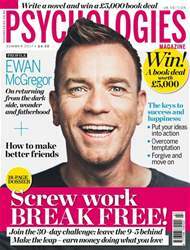 The latest issue of Psychologies magazine has a novel writing competition for UK residents, aged over 18, with a £5000 e-book publishing deal – and possibly representation too, by literary agents David Higham Associates– up for grabs, IF (and it’s a big IF) you have a previously-unpublished psychological thriller or crime novel* finished by the closing date of 6th October 2017. You ‘only’ have to submit the first 5000 words of the novel, plus a 1000-word synopsis by that date but it’s a condition of entry that the novel (75,000 – 130,000 words) is complete when you enter. The longlisted and shortlisted entrants will be required to send in their complete novels. Have a look at the full details and rules here, if you think you might like to enter.